The contract for the construction and maintenance of twelve new mine countermeasures vessels has been awarded to the Naval Group / ECA Robotics consortium. 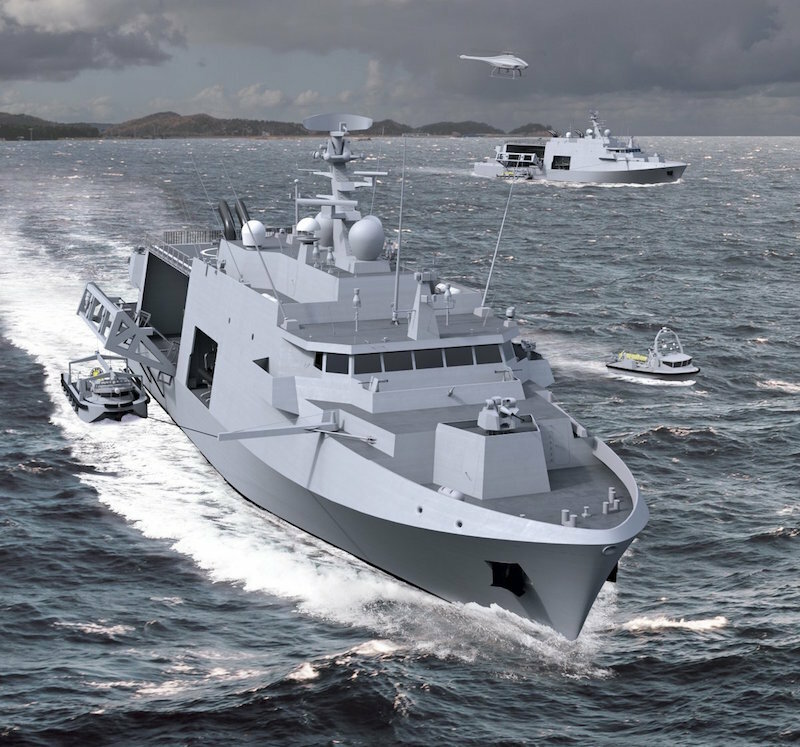 These vessels, for both the Belgian and Dutch Navies, will be equipped with modular deployment drones. The two governments gave their agreement on March 15th. The European tender was managed by the Belgian Defense but both countries were part of the bid evaluation team. (EDITOR’S NOTE: According to Belgian Federal MP Georges Dallemagne, the contract itself will cost €1.853 billion, of which Belgium will pay €887 million and The Netherlands €966 million. The 12 new mine warfare vessels for the Belgian and Dutch navies will be built by a consortium led by the French company Naval Group. Both countries’ cabinets today agreed with the Naval Group proposal, which came out best after a European tender led by the Belgians. The decision is a new milestone in the 70-year maritime cooperation between our neighboring countries. Today's minehunters are more than 30 years old and are approaching the end of their service life. Operationally, they are no longer able to cope with new forms of threat. The new mine-fighting vessels will operate in a different way and will no longer have to enter the area where sea mines may be located due to the use of unmanned systems. The sea mine is a relatively cheap and easy to produce weapon with which the free use of the sea and sea ports can be easily denied, with major consequences. The deteriorated security situation in the world increases the chance of an armed conflict and the deployment of sea mines. The current minehunters are still deployed weekly for clearing mines in the North Sea. It is estimated that there are still thousands of mines and aircraft bombs dating back to the world wars on the seabed. This is the first time that the two navies together have opted for an identical product, in a process in which one country takes the lead in the tender. Belgium is in charge of replacing the mine-fighting vessels, and the Netherlands in charge of replacing the multi-purpose frigates. It was already known that the Netherlands had entrusted the implementation of that project to Dutch industry (Damen and Thales). A total of more than 2 billion euros is involved in the replacement of minehunters. The first of the 12 ships, six for each country, will be delivered to Belgium by the end of 2023. The Netherlands expects the first ship in 2025. "The threat of laying sea mines on vital shipping routes and seaports remains undiminished," said State Secretary Barbara Visser. "Mine-fighting vessels are and remain indispensable for the protection of our shipping, territorial waters and the Netherlands as a trading country." 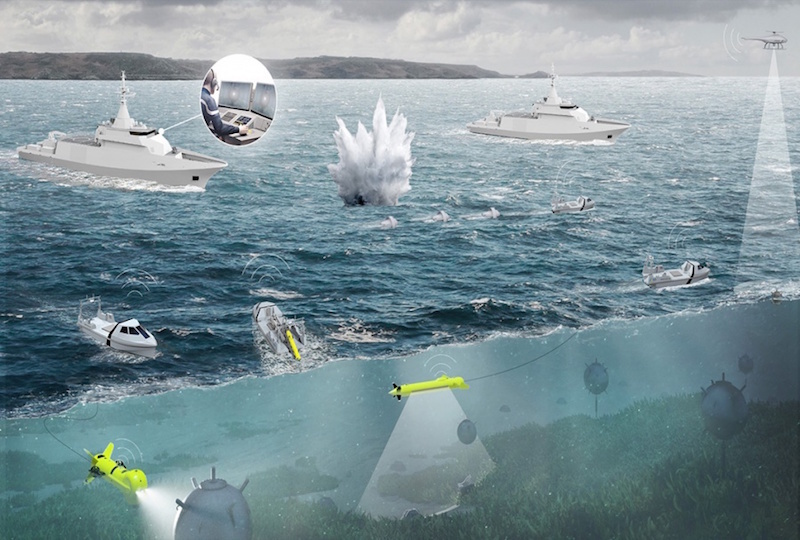 Following a call for tenders launched in the summer of 2018, Belgium has just notified the selection of the Belgium Naval & Robotics consortium, bringing together Naval Group and ECA Robotics, for the supply of twelve mine-hunting vessels and their toolbox (payloads). Six ships are for the Belgian navy, the other six will be delivered to the Dutch navy. The contract, for which a budget of nearly two billion euros is planned, will last 10 years. The final notification of the contract should take place in the coming weeks. The Belgium Naval & Robotics consortium and the Naval Group and ECA Group teams are honored by the trust of the Belgian and Dutch navies and look forward to this next collaboration.